A contemporary take on the classic Butlers tray. 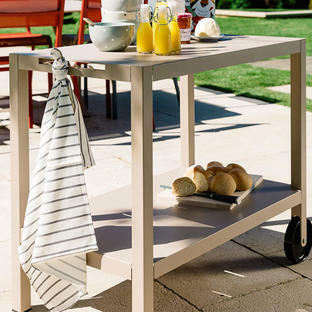 The Voyager collection by Gloster evokes a contemporary look with vintage style and this folding butler's tray rounds the collection off perfectly. This tray and stand is perfect for anyone looking to make alfresco dining and entertaining a more relaxed affair. 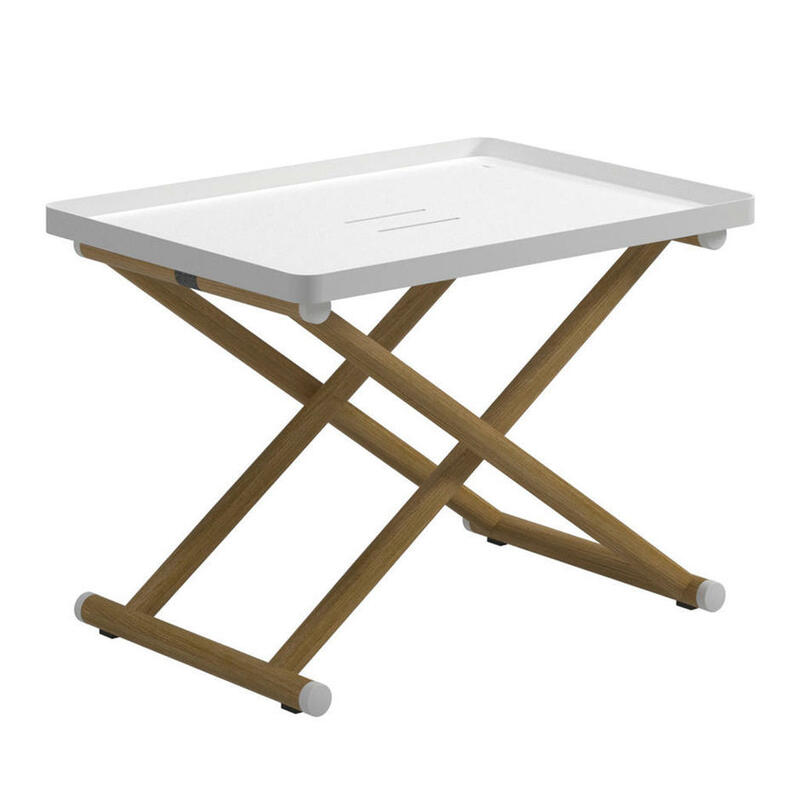 The frame of the tray is made from a buffed finish teak and has a powder coated aluminium tray and powder coated strut accents. The tray come in 2 easy colours of White or Meteor. 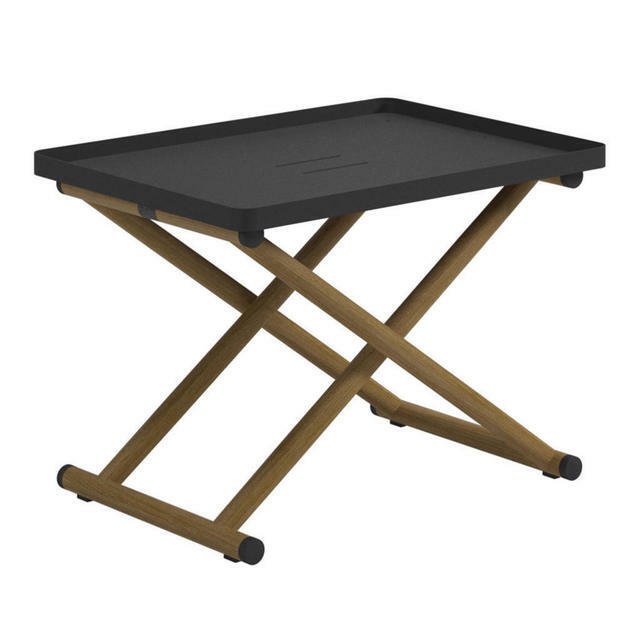 The Voyager tray stand will fold flat when not in use. 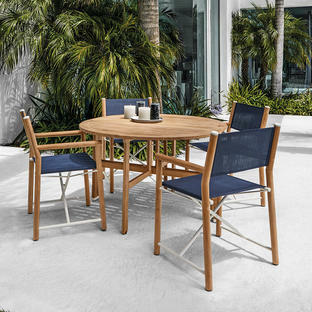 Other items in the Voyager collection include the Voyager Deck Chair and the Voyager Directors Chair.